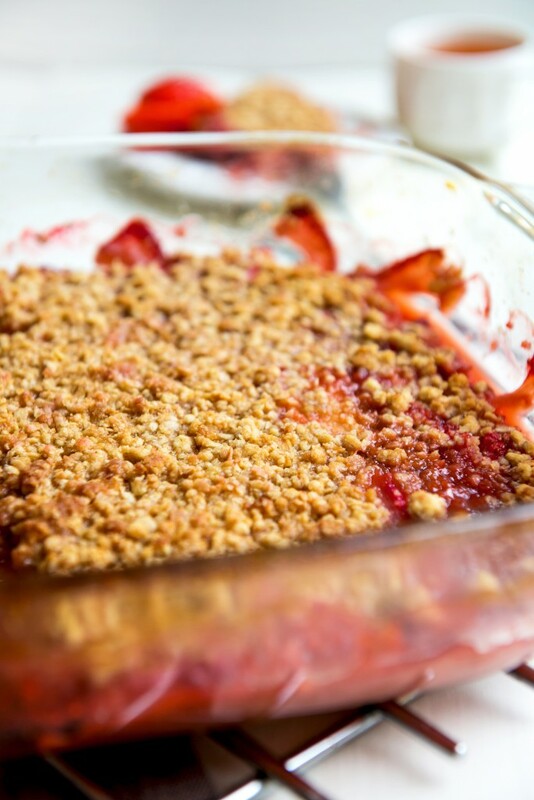 This Gluten Free Strawberry Rhubarb Crumble is a fantastic spring and summer dessert. Last week my friend and walking partner, Linda, blessed me with a huge bag of rhubarb the same day our local farm stand was offering really ripe Oregon strawberries for just $13 bucks a flat. I must tell you, Oregon strawberries are the best in the country with Mississippi Strawberries coming in a close second, in my opinion; sorry California and Florida but our berries are sweet and juicy. I just LOVE Strawberry Rhubarb pie so I whipped up a gluten free version and invited our neighbors over – it was just “OK”, not fantastic, they were kind to eat it. A big bag of rhubarb and a bunch of strawberries were still sitting on my counter so I decided to search the web for other ideas. My search led me to www.thebakerchick.com’s version of a Land of Lakes recipe, Strawberry Rhubarb Crumble Bars. The Baker Chick used regular flour and sugar. I decided to give it a try with gluten free flour and better sugars. My favorite gluten free flour is Bob’s Red Mill 1 to1 Baking Flour. This flour is very similar to the America’s Test Kitchen blend in their awesome Gluten Free cookbook. America’s Test Kitchen (you may have seen the TV show) walks you through their process, what didn’t work and why their recipe works. Gluten Free baking is a completely different art and science than baking with gluten based grains (wheat). Learning the process is invaluable if you want to learn to make really good gluten free baked goods. My favorite recipe in this cookbook is the English Muffins. I make a batch, cut in half and freeze. I put a small piece of parchment paper in between the two halves enabling me to just use one-half at a time. Going Gluten Free makes a huge difference in my overall health and wellbeing. Gluten causes my hands to break out in itchy open sores, messes up my nails and makes me really grumpy; oh yes it does! I can always tell if I’ve accidentally eaten gluten…I start to feel like I’m going to explode from the inside out and I want to rip somebody’s head off. These negative results keep me on the straight and narrow with regard to gluten. Leaving wheat based bread, cookies, crackers, cereals and desserts and going Gluten Free is HARD; especially if you enjoy breads, crackers, cookies, and desserts. In my opinion, most gluten-free foods don’t taste good enough to bother eating them; but I keep trying. So back to our recipe. I wanted to replace the wheat flour with gluten free flour and use healthier sugars. Regular refined white sugar and brown sugar is highly inflammatory. If you have a lot of joint or muscle pain or if you are going to have surgery or recovering from surgery ditch the refined sugars and your pain will dramatically decrease. Try it! You’ll be shocked. 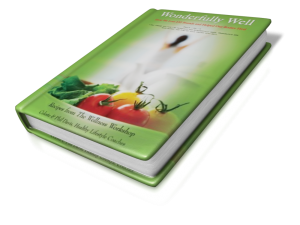 My book Wonderfully Well goes into depth on why certain ingredients are better. Raw Local Honey – honey has a strong flavor and can overpower your dish so I tend to use one-quarter to one-half honey combined with one or more of these other sweeteners. Honey also makes a baked good puffy as opposed to chewy like a cookie. Real Maple Syrup – This is a great substitute if you don’t like honey or can’t eat it for some reason. Just be sure you use the real thing…no Mrs. Butterworth’s please….those syrup substitues are just flavored high fructose corn syrup; you won’t get the same results and they are really not good for you. Coconut Palm Sugar – I LOVE the caramelly flavor of this sugar when it is baked or cooked, however, this sugar doesn’t crystallize like regular sugar so again, you don’t get the same texture. I usually increase the butter, coconut oil or egg for a moister end product. Turbinado Sugar – Turbinado sugar helps give your baked good the texture of white or brown sugar but it is still refined sugar. I use this sparingly just enough for effect. Insider Secret: I often add Organic Almond Extract to my baked goods. I added it to the crumble crust in this recipe. Almond Extract is the magic ingredient that makes people go hmmm…what’s in this?? I get mine from Vitacost.com and save a few bucks. Be sure and read about artifical flavorings in my book Wonderfully Well. I made this Gluten Free Strawberry Rhubarb Crumble as a dessert rather than a bar because the gluten free flour and oats did not allow a strong enough crust to create a bar. Next time I’ll double the filling for a really yummy crumble type pie. I made this for our neighbors and my Bible Study group and it was a real hit…even with the non-gluten free folks. Try it! 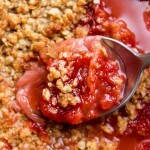 This Gluten Free Strawberry Rhubarb Crumble is a winner for summer barb-Que and potlucks. It travels well and people are delighted with the flavorful combinations. 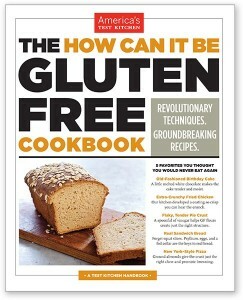 NOTE: Gluten Free Flour products are not health products. They are simply a nice replacement for those of us who can’t tolerate gluten. Eating gluten free products every day will give you a bigger belly, bigger arse and possibly new health problems as they are pure starch. I recommend limiting consumption of any gluten-free bread, pasta, cookies, crackers, cereals, tortillas, etc. 1-3 times per week, not on a daily basis. Bob’s Red Mill 1-1 Gluten Free Flour Mix – Most grocery stores, health food markets and vitacost.com, if you are in Oregon, they carry this mix at Bi-Mart. Raw Local Honey – your local health food store or farmer’s market. Costco has raw honey but it may not be local. Coconut Palm Sugar – Some grocery stores in the health food section, health food markets and vitacost.com. I usually get mine at Natural Grocers, a national health food grocery store, in the bulk section. They have the best price I’ve seen. Bob’s Red Mill Non-GMO Arrow Root Starch – health food markets and vitacost.com – this is a good substitution for cornstarch in the filling. A flavorful tender gluten-free dessert even your non-gluten-free friends and family will enjoy...just don't tell them it's gluten-free. Cook strawberries and lemon juice over medium heat for about 3 minutes until warm. Add the rhubarb. If you add the rhubarb too soon it just turns to liquid. Cook for another 3-5 minutes until soft. Add honey or maple syrup depending on which you used. Combine coconut palm sugar with the Non-GMO cornstarch, mix well. When fruit mixture begins to bubble add the cornstarch/sugar mixture by sprinking it over the top and stirring constantly. Continue to stir and cook until the mixture is thickened, remove from heat and set aside to cool. Combine all the ingredients for the crust in a mixing bowl. I used my kitchen aid mixer with the whisk. Mix on low speed until crumbly. If you want it to hold together a little better you can add 1 egg at this point. Reserve 1-1/2 cups of the crumb crust for the top and pat the rest into a 9x13 pan, greased with butter. Pour the strawberry rhubarb mixture over the top of the crumb crust. Sprinkle the reserved crumble on top of the fruit mixture. Bake at 350 for 30-35 minutes until crust is golden and the filling is bubbling. Gluten Free products need to cool a bit or they will just fall apart. To serve as a pie, allow to cool for at least 30 minutes. If you want it warm with ice cream...go for it, who cares what it looks like! This crumble is great warm topped with Coconut Ice Cream or cold as a dessert. Don't let the long list of ingredients intimidate you...it really is a quick recipe. If you make it once you'll be able to make it quickly all summer long. You can use frozen strawberries and rhubarb-I've done it! Just make sure there isn't added sugar in them.